Or should I say Monday’s? Either way, Kacia has a prescription for your Monday blues. It’s an Anonymous Honorary RPBer submission! 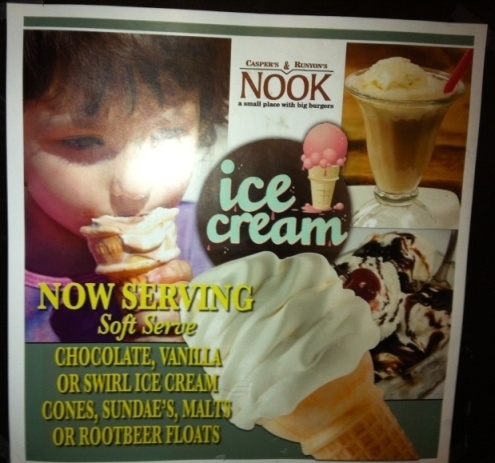 And thank goodness, because who really wants an unnecessary apostrophe on their first day back at work? 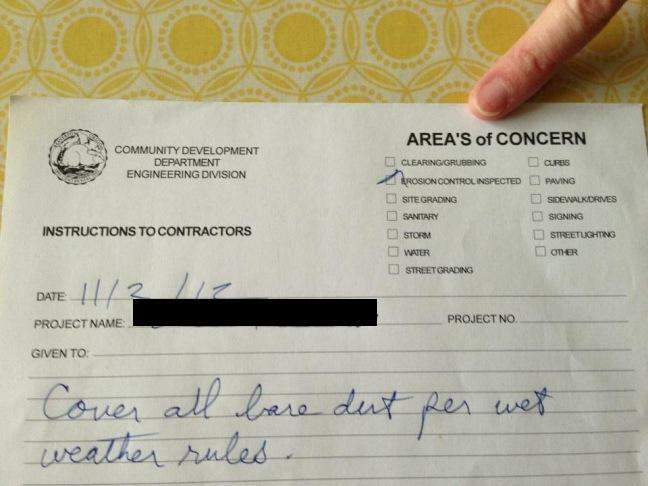 So three cheers for whomever, and for the Red Tape of Correctness! Reporter #1: The ATM is what? ATM: I’m sorry. I’m afraid I can’t answer that. Reporter #1: What are you going to do? WHAT ARE YOU GOING TO DO? ATM: This conversation can serve no purpose anymore. Goodbye. Has anyone heard from Reporter #1 recently?? Reporter #1 is baaaaack, y’all. Well, okay, she never went anywhere, but I’m back to posting her stuff. I’m just so busy being glad that they spelled “it’s” correctly that the comma barely bothers me. But it is, in fact, a comma, as we can see if we compare it to the exclamation point. And that makes it WRONG. Just for fun, Reporter #1 included this extra wrongness in the same email! If we print enough copies of it, it will become correct. I have no idea who this submitter is! And that is very exciting, because mostly people who send me things are people I know, people I knew once, or people I have otherwise harassed on the internet in some way! So hi, welcome, Submitter Jake! This wouldn’t be so bad if it didn’t CLEARLY come off a tear-away pad with hundreds of copies of the same mistake! I have hives just typing this. Later Belinda commented that “it was physically uncomfortable to write that sentence.” I’LL say. Every time one of your friends replies, I have to LOOK at it again. So THANKS, Belinda. The couple that uses parallel constructions properly… uh, wins together? Two orders of business before we get down to red-penning. Ahem. Okay. Two: a warning. It seems that Colleen — otherwise known as GrammarTroika sister #1 — took my title-offering threat seriously and has stepped up her submission rate. So buckle your seatbelts and prepare for a bunch of stuff from her, y’all! Colleen’s not just bringing the quantity, she’s got quality in the mix too. 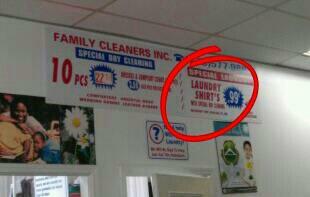 Check this one out. We do have a clear error here, I’d argue: “Women Rights” is just not okay no matter how I parse it. But I think I can see how they got there. For whatever reason, I’m okay with “Patient Rights,” and you wouldn’t want to go sticking an apostrophe-s on “women” when you don’t have one on “patient.” The balance of the sign would be all wonky. You follow? My CDO (it’s OCD, in the correct alphabetical order!) tendencies are grateful. On the other hand, they did decide to go with what I assume is a resume point (“charitable org. president”) as a parallel to an imperative verb statement (“remove corrupt politicans”). 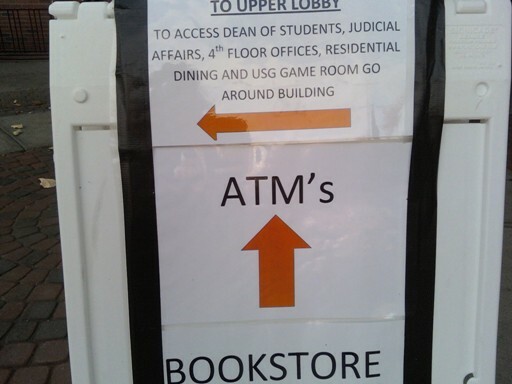 Which is way more unwieldy than that neglected apostrophe would have been. 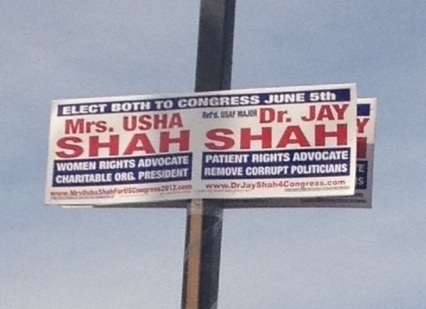 I’m not going to imply that these… interesting choices cost Major and Mrs. Shah the election. I’m just saying. You know? Kacia found this one on the Facebooks. I’m tagging Facebook posts now because Facebook is its own cesspool of typographic awful. You’re welcome. Again, I’m distracted by the good in this post. I guess I’m just in an optimistic place recently! 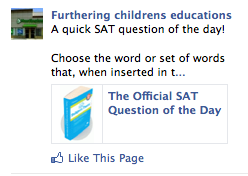 I’m just excited by that comma after “that.” I’m fantasizing that there was a matching comma at the other end. Leave me alone, it’s only my Tuesday. 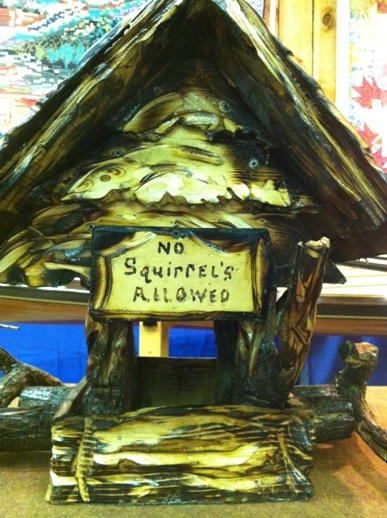 Perhaps the rules of grammar are different among squirrel-kind? It’s that time of year again, ladies and gents: time for Kacia to monitor the Minnesota State Fair for RPB submissions! As Kacia noted in her email, this is actually a really nicely made birdhouse. And as anybody who has ever interacted with squirrels knows, the warning is definitely appropriate. It’s the driving force behind so many fabulous inventions (check out the videos for the Whipper, Tipper, and Flipper at Droll Yankees if you don’t believe me). And as we all know, squirrel house parties are a really bad idea.